Biomass Briquette Systems is the exclusive distributor of briquette presses, granulators, grinders, belt conveyors and screw auger conveyors. 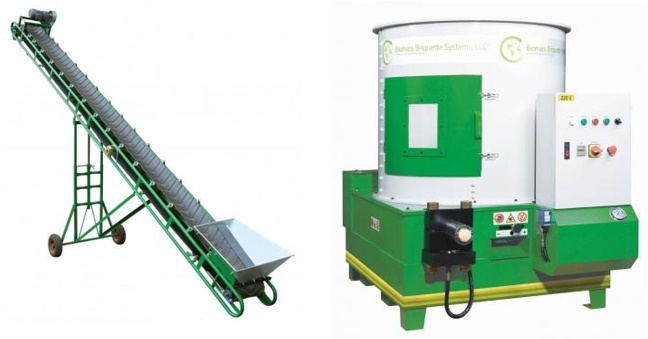 Biomass Briquette Systems briquette presses are capable of densifying wood waste and many other agricultural feed stocks containing less than 15% moisture. These feed stocks can easily be ground and pressed into a high value solid fuel briquette that can then be used for heating and energy applications.